November 2018 – Allie Chaves- Hi Lauren, We are so obsessed with every photo! You truly did an amazing job and I am so happy that you were apart of our day. October 2018 – Chuck Berds – Jill, We want to thank you so much for being our photographer for our wedding. You truly made the day so memorable and going through these photos gave us all of the feels!!!!! September 2019 – Amanda Glick – Dear Jill, Zach and I sit here, still floating high and reflecting on THE MAGIC that the weekend was, we wanted to thank you for being a part of it all. Your calm, fun, kind, professional, excited and easy going demeanor made the entire picture taking process the absolute BEST for us and our families/bridal party and guests. Our hearts are forever filled with much love and gratitude for you. These are absolutely amazing! Exquisite! Gorgeous! Incredible! We love you! September 2018 – Christina Cipriano- Thank you so much Lauren!!! We’re looking through them now at the airport in Bermuda! Thank you for capturing these beautiful memories for us!! August 2018 – Erin Brugger + Thomas Whelan – Hi Jill! Thank you so much for these incredible photos. We are a loss for words. You were amazing to work with and we are honored to have had you as our wedding photographer. Thanks again! / Via Wedding Wire: “From our engagement photos to our wedding day, Jill simply amazed us! As a couple who doesn’t love being the center of attention, Jill made us feel incredibly comfortable. Her professionalism, personality and talent are all evident in the quality of her work. In addition, she was extremely responsive whenever we had any questions. we absolutely loved working with her and would highly recommend her services! August 2019 – Courtney Rung and Brian Granetz – Jill, these photos are STUNNING! We looked through them all last night and they are just beautiful. Thank you so much for capturing all of these beautiful memories for us and for being such a pleasure to work with. We are going to look through them again and again and again! August 2018 – Lauren + Ian Worgaftik – Hi Jill, Thank you SO MUCH for these amazing photos and for such a surprisingly quick turnaround. You were unbelievable all day and incredibly patient, calming, and professional through the mayhem of managing so many people. From day one we knew we made the right choice when we signed on with you, and these pictures don’t do justice to the “intangibles” you and Nikki brought to the day. Lauren and I had so much fun looking through these pictures late last night (even through Lauren had to work early today) – we couldn’t take out eyes off them. Thank you for making us look like superstars. We’ve already begun showing all of our friends just about every picture and I know we don’t stop singing your praises for a very, very long time. You certainly contributed to how much fun the wedding day was, and we really can’t thank you enough! July 2018 – Liz Perlman + Nick Boller – Thanks so much Jill for being such an awesome part of such an awesome day! You and your team are the best! Thanks again for sharing your artistic gift and awesome vibes on our special day! July 2018 – Ashley Crowley – Jill, WOW! The pictures are amazing! We can’t stop looking at them. Thank you so much for everything during the planning process and the actual wedding. It was such a joy to work with you. Your work speaks for itself and we are in awe of how beautiful the photos are! June 2018 – Amy Rettner- Lauren, O.M.G. I cannot thank you enough!!!! these are absolutely stunning. Thank you so much for EVERYTHING! You were calm and kind and such a pleasure to work with! When people say you are the best the in business, I really understand why! June 2018 – Linsey Barker and Chris Lally – Jill, Chris and I LOVE LOVE LOVE the absolutely stunning photos you took of our wedding day! Thank you from the bottom of my heart for providing us with such beautiful mementos of our special day. It was an absolute treat to spend the day with you and Evan and the pictures you took are dynamite! June 2018 – Judy Lipson ( Mother of the Bride) – Dear Lauren, I want to thank you and your team for everything on Saturday. You were an absolute delight to work with, so kind, professional, talented, and made the day even more special for the glorious couple and their fairytale wedding and weekend. I just saw the few pictures that are absolutely spectacular! We didn’t even know you were there and yet out of the corner of my eye I knew you and your team captured absolutely every precious moment. June 2018 -Laura Montgomery- Lauren, Omg they are amazing!!!! WE LOVE LOVE LOVE THEM!!! You’re so talented. Thank you!!! May 2018 – Danielle and David Smoot – We worked with Jill for our wedding day and couldn’t have been more thrilled. From the engagement shoot before the big day to getting to know us and how we photograph to getting perfect shots from our wedding day we loved working with her!! May 2018 – Laura Schneider – Jill, Thank you SO much for your AMAZING work and talent! I can’t tell you enough how happy I am with these pictures! It was awesome to work with you and I’m so excited to share these with my family! April 2018- Gloria Babigian (Mother of the bride) Hi Lauren, Thank you for a wonderful experience with your photography and expertise. We loved working with you and felt very comfortable throughout the entire day. Thanks for you professionalism and kindness. The pictures are just beautiful!! Thank you so much for putting your heart into this…. it truly shows in the final product. Love them all. April 2018 -Kristen Dorsey – Hi Jill, Keith and I returned from Bora Bora late on Friday night and were beyond excited to spend the weekend looking through all of our wedding photos!!! Your work is truly AMAZING!! You and Jon were so wonderful to work with and we can’t thank you enough for capture our day perfectly! Thank you again for everything! WE feel so fortunate to have worked with you! February 2018 – Lindsey + Sal Longo – Hi Jill! Your work is truly incredible and we both can’t thank you enough for your work on our special day! Wishing you a ton of success as you approach your busy season! January 2018 – Hillary Keach + Devlin McConnell – Jill, Thank you so much for everything you did to make our wedding day beautiful and special. We are so grateful to have had the opportunity to work with you! December 2017 – Lauren Falvey- Lauren, Omg!!!!!!! Digging into these from paradise! I’ve been dying to see them and they are amazing!! Thank you thank you thank you! October 2017 – Kate Mangan – Hi Lauren, Wow. Wow. Wow. These are the most incredible photographs! I can’t believe how beautifully you shot everything – I feel so lucky to have worked with you. Thank you for everything you did to get us these beautiful results. Also, thanks for your support on that day! It was really nice having you with me through everything. September 2017 – Katie Pennachio- Lauren, I LOVE these pictures!!! How did you do all of this?? They are PERFECT. The pictures of us just look better than I could have imagined (all of the walking pictures!! The family and friend pictures!) and there are so many wonderful moments captured that I’m seeing for the first time too . Oh and when the sun came out – wow. Thank you so much for these pictures and for being so wonderful to be around on our wedding day. September 2017- Melissa Popovic -Lauren, You are so quick! I am in awe of how amazing these photos came out. There is literally not one bad picture. Again, thank you so much for all of your hard work and patience. You were incredible to work with. August 2017 – Chloe and Jeff Menard – Jill, Thank you so much! The pictures are absolutely beautiful and we feel so lucky that we had you to capture our special day! We are seriously so impressed. Thanks again for everything. We will definitely recommend Person + Killian to all of our friends! August 2017- Nastaran Hakimi- Lauren,I don’t even have enough internet access to fully look through all of these and I’m already obsessed! I plan on sending along another note when I return home but I just wanted you to know how appreciative we are of you. We are in love with all the photos you’ve taken this year and we will certainly recommend you to all of our friends (though, I’m worried I’d have FOMO if our friends got to hang out with you too!) You were truly my favorite vendor (and we had some great ones!) and I hope to work with you again in the future. August 2017 – Caitlin Callaghan and Dave Kell – Dear Jill, Thank you for shooting our wedding earlier this month. The photographs came out AMAZING. We can not believe what great moments you captured and are so pleased. We are grateful you were willing to shoot all our special shots as well as the groups. While that often can be difficult, you made it look easy! We are so impressed that you got a good shot of all our wedding guests. Your relaxed and positive energy was also a blessing and we are so thrilled with the results! July 2017- Alexandra Conigliaro – Lauren, Freaking out!!!! So excited!!! Omg they’re incredible. Just finished going through them. Obviously going through them 100 more times now!! Parents of the bride Gretchen and Pat Callaghan – Dear Jill, Thank you so much for the fantastic job you did photographing Caitlin and Dave’s wedding on August 5th. The pictures are gorgeous!! We really appreciate your ability to be there for all the important moments without the feeling of intrusion. Thanks again! June 2017 – Francesca Breene- Lauren, We could not be happier with our photos! You captured so many wonderful and natural moments, and scrolling through the albums really helped remind us of the weekend and relive each and every special moment and emotion. We are thrilled. So thank you!!! June 2017 – Brittany and Bryan Dunn – Hi Jill, WOW! Thank you so much for capturing our day. We are so happy with all of our photos! They are absolutely beautiful. Thank you again for everything. It was an absolutely perfect day! May 2017 – Shikha Goel – Hi Jill, I love the photos so much!! You really made the whole wedding feel so special to us. We’re going to treasure these forever. Thank you so much! May 2017 – Alanna and Lyle – I am so happy that Lauren was there to capture our wedding. Not only are the photos gorgeous, but she was such a calming presence and helped keep us on schedule while still being relaxed. We loved working with her, and highly recommend working with Person + Killian! May 2017 – Samantha Saperstein – Hi Jill, I can’t even get through them all without people grabbing my phone from me but OH MY GOD. I have no words. Jill these are amazing. Outstanding. I love them and you! February 2017 – Elana and Pete Nesbit – If you are lucky enough to be able to book Jill, you absolutely should! Jill is so warm, so professional and has so much expertise – we have been thrilled with our photos and cannot say enough good things about working with her. Our wedding pictures are simply gorgeous and we are so happy with how Jill captured our day. One underrated photographer skill is the ability to wrangle a large group of people and get all of the pictures that you want at your wedding. A lot of people warned us about forgetting to ask for specific group pictures, but Jill took care of all of that for us and we never had to think about it on the day of our wedding. Jill and her team were able to direct our families and large wedding party so efficiently and nicely, and they worked seamlessly to make the formal picture time go smoothly. We have so many extra shots from that time and loved that so many candid moments were captured as well. Getting a photographer for our wedding was something I really wanted to be sure I made the right decision about, but I knew right away that Jill would be a good fit. She was just the right person to be with us, and I am so so happy that we went with her! November 2016- Jade Sperlinga – Lauren, the photos are amazing!! They are beautiful. Thank you, thank you! November 2016 -Chris Renfro – Hi Jill, Zach and I wanted to thank you and your team for all of your help this past weekend. Our wedding exceeded all of our expectations thanks to the help from all of our amazing vendors. We had a lot of fun shooting photos all around the city and in the library and can’t wait to see the final products. If the first photo is any indication they are going to be unreal! November 2016 – Zach Wallace – Jill, the photos are incredible! Thank you for giving us the chance to relive that amazing day again! We can’t wait to do again and again and again! We can’t wait to see them on a bigger screen when we get back from our honeymoon. Thanks again for everything. November 2016 – Jill and Ben Lewis – We initially met with Jill Person because we has three couples tell us that while they didn’t select Person & Killian, they wished they had. Lucky for us, when we met with Jill, at the end of 2015, she had one wedding date open in 2017 and it happened to be our date. This fact, combined with Jill’s infectious/calming personality and her incredible portfolio made the selection a no-brainer for us. We were thrilled working with Jill. While she’ll happily lead the artistic charge, she’ll also take direction from the couple and help them bring a specific vision to life. She clearly loves what she does and each wedding is so special to her. October 2016 – Franchesca Rufo – Hi Lauren! Oh my goodness the photos are beautiful!! We just landed back in Boston and looked at them our entire flight. Thank you so much, we love everything. It was such a pleasure working with you! October 2016 – Samantha Mercer- Lauren, These are so beautiful!!!! I’m looking through them all now! Thank you so much! October 2016 – Brett Peterson – I can’t recommend Person + Killian Photography enough if you’re looking for a wedding Photographer. It was an absolute pleasure working with them in every way imaginable. We worked with Jill, who really cared about what we wanted to do for our pictures and took absolutely stunning pictures. She is so easy to work with and made the entire process enjoyable and easy. We have gotten countless compliments on all of our pictures and couldn’t have been happier with the outcome. Everything from the quick turnaround to way that the pictures are presented to us were beyond perfect! You’re missing out if you don’t use Person + Killian! October 2016 – Lauren Hooley – Jill and Lauren, I cannot express how pleased we are with the photos – they are absolutely amazing and are allowing us to relive that evening over and over 🙂 Many Thanks! September 2016 – Hilary Maron – Jill, Thank you so much for these amazing pictures from Emily’s Bat Mitzvah. We love every single picture that you took and are not sure how we will even pick for our album. We can’t wait to do this all over again for Lauren’s Bat Mitzvah next! Thanks again Jill!!! August 2016 – Jessica Caputo- Hi Lauren! Oh my goodness, I’m so excited! Thank you so much! We’re going through them now and we LOVE them! Just went through the ceremony and I cried…again! You guys captured it perfectly! I totally just re-lived it! August 2016 – Mia Berni- Hi Lauren, Thank you so much for taking such beautiful and amazing photos for us! We just got back from our honeymoon and have been able to finally go through them all! Your work is truly the best and we are so happy that we were able to work with you!! August 2016 – Christina Crowley – Jill, The pictures are amazing and you were so wonderful. My mother, who if you couldn’t tell is a tough woman to please, has not stopped raving about you since the wedding. Your second shooter was also wonderful. Thank you again for everything. You were a truly wonderful part of our wedding. August 2016 – Tara Blackman – I can’t say enough great things about Person and Killian! We worked with Jill Person for our August 21, 2016, and she also did our engagement photos. All of the photos came out beautifully and when I posted them on FB, I got so many wonderful responses about the gorgeous photos. Jill is very flexible and accommodating, and most importantly, she is so nice and makes you feel excited and relaxed about the whole process. July 2016 – Michele Ciccarelli – One of the best and easiest decisions I made during my planning process was hiring Person + Killian Photography. As a wedding professional myself I have worked with them on many weddings at various venues, and knew that I would be in the very best of hands. I can say that working with Jill in professional settings as well as now a personal setting has been nothing short of amazing. She put our entire family and bridal party at ease during formal photos as we took these prior to the ceremony when everyone was a little nervous. Any shots that we wanted to do she was game for, but also knew what photo combinations we would need for family photos, etc. If there is any doubt in your mind, I can assure you that these ladies are the way to go!! June 2016 – Suzy Casey – Hi Jill, We were so excited when we got the pictures that we immediately starting going through them and sharing the link with our families. We are over the moon with these photos!! We absolutely love them! You did such an amazing job and we could not be happier! May 2016 – Meredith Caplan – Jill, The pictures look amazing, there are so many great ones to choose from! I have basically done nothing this week but continue to look through photos. – From Amy, Mother of the Bride- Just wanted to let you know that the wedding pictures are fantastic! It will be difficult to choose which ones to put in an album. It was a pleasure working with you. There is a reason you are so highly thought of in Boston! Look forward to creating the albums with you. May 2016 – Erica Rothschild – Jill!!! Gushing over these. Amazing, amazing shots. It was so wonderful to work with you. I am literally obsessed and can’t stop looking at all of them. Thank you! Oct 2015 – Becca Miller – Hi Jill! I can’t even begin to thank you for all you did to capture the most happy and wonderful day of our lives. You were such a pleasure to work with (since we first met!). Thank you for everything. These pictures are absolutely magnificent. You are your team are geniuses. Thank you so much for everything. Oct 2015 – Maureen Hart – Hi Lauren, We received the wonderful album (and calendar!! !..thank you) and we have gone through it several times….and I wanted take the time and go back to the favorites to see your wonderful cropping and artist touches….so got the time tonight.Thank you thank you…and we were at Rutgers this weekend and one of his friends said that our photographer should let Rutgers know she has the best photos of the chapel that she has ever seen and get them in their marketing matters….high praise continues for Lauren!!! Thanks again for all your attention to detail that allow Steve and I (and so many others) enjoy the details and feelings of the days. Sept 2015 – Sarah Grimsgaard -Thanks Jill!! We love the photos so much. I cannot stop looking at them. You did an amazing job!! So great to meet you I will be sure to recommend you guys to any friends I have that are getting married in Boston. Sept 2015 – Jenn Weinstein – Hi Jill- LOVE these!! The collection of photos are incredible. You brought me back to each moment as you told the entire story through each picture you selected. I can’t stop looking at this!!!!! You SO got all of it and us and just well all I can say is… THANK YOU! THANK YOU!! Sept 2015 – Shelley Barron – Lauren, These are absolutely beautiful photos! We love them. Thank you for such wonderful work. Sept 2015 – Ashley Baker- Lauren, I have now looked at the photos for like the 8th time and I don’t even know how to thank you! They are so amazing and perfect!! My only regret is there isn’t one of you and I!! Most amazing photographer, we can’t thank you enough!! Love you and thank you!!! Sept 2015 – Kailey Theriault – Jill! Wow!!!! You have completely blown us away with the amazing photos from our wedding day and rehearsal dinner. I cannot believe how amazing they are! They are way above and beyond anything that we expected and it seems that every one is better than the next!!!! We feel so privileged to have had such great people to work with and you were so amazing at ensuring that everything remained on time and flowed. You were such a pleasure to work with! Thank you again for being a part of our special day. Aug 2015 – Kimberly + Daniel – Hi Jill, WOW! The photos are absolutely amazing!! They could not be better! The photos in the public garden and the stairs are exactly what I have been dreaming about all year. We got back from our honeymoon late Thursday night and we have been looking at the photos all weekend! Thank you so much for everything! It was a pleasure having you with us on our big day! Aug 2015 – Maria Duffy – Hi Lauren! Thank you so much! The pictures are amazing! You captured so much. They are seriously perfect! Aug 2015 – Colleen + Matthew Blair – Hi Jill! Thank you so much for sending these. They are AMAZING! We are thrilled with how they turned out! You were great to work with! Everything looks awesome – thank you again! Aug 2015 – Stacy Mahoney – Hi Lauren, Words cannot express how Dan and I feel about these photos. They are truly amazing. When Dan and I went through them we had permanent smiles from ear to ear, and it brought us right back to the day of the wedding. Dan and I were so thrilled to have worked with you- you made us feel so comfortable in front of the camera. Thank you! July 2015 – Michael Ikoma – Jill, Thank you so much for capturing our wedding! IT has been so fun going through these pictures, both by ourselves with and with our friends. We are so glad that we had you are part of our wedding team. You are truly amazingly talented! July 2015 – Erica Renaud – Lauren you are a gem! I’m so glad that you were there on our wedding day. I couldn’t have hoped for a better photographer.You nailed it! Each picture is better than the next! I love all of them! Thank you again for EVERYTHING! I mean it when I say you truly are the best. We were so lucky to have you! June 2015 – Stacey + Evan Olesh – Hi Jill, We are sitting in the airport in Johannesburg, discussing how amazing our wedding was, and we just wanted to send a quick note to say thank you for helping to make it such a success. We know we told you this on Saturday but you absolutely crushed it!!! The entire day was smooth and seamless we know we are going to love all of the photos. Our family dynamic isn’t easy to manage and you did it without blinking an eye. We couldn’t have asked for anything better. Thanks again, we can’t wait to see everything and relive the day again and again! June 2015 – Danielle + Alejandro – Jill, We were so excited to see our photos on your blog! Thank you! Equally (and even more) exciting was your email with a link to our photos. We cannot stop looking at them! Thank you! You captured all our emotions in these photos. You are truly a gifted and talented photographer. We hope you are doing well and again, thank you so much for capturing the special moments and all of the in between moments of the wedding. June 2015 – Jacqueline + Andrew – Choosing Person + Killian to photograph our wedding was one of the best decisions we have made! Lauren was AMZAING! Not only is she a wonderful, kind person, but she is extremely professional, organized and accommodating. She not only documented every aspect of our day, but was there for moral support when my dressed ripped and calmed my nerves at every step. The photographs are better than we ever imagined! You won’t regret having Lauren capture your event! June 2015 – Katie + Griffin Sullivan – WOW! Jill! Thank you so much! These pictures are amazing and even more than we hoped for! Thank you so much for capturing so many wonderful moments of our wedding. We really can’t thank you enough. These really are stunning, and you were so wonderful to work with. Thank you again! June 2015 – Katie + Barry – Dear Jill, We can not thank you enough for our amazing engagement photos. We had such a great time during the session and the photos exceeded our expectations! We are still having trouble selecting our favorites. Thank you again so much and we can’t wait until October! May 2015 – Elizabeth Silverman – Lauren, Thank you for such a great long day with us on Saturday. You made the process so easy and took all of my worry about capturing pictures of everything and everyone away so that we could just enjoy this wonderful life event. You were able to anticipate all of the obstacles, and made sure everyone was primped perfectly. The pictures are fabulous!!!! I feel like I am reliving the day- and catching so much more than I did the first time. I can’t imagine how we will ever pick which pictures to put in an album. May 2015 – Michelle Murtagh – I actually work in the Boston Wedding Industry and get to work with Jill Person on a professional level, quite often. On the professional side, Jill is an absolute dream to work with. Always so positive, pro-active, enthusiastic, on-time, detail oriented and wanting to get the absolute best photographs for her bride and groom. She is truly dedicated to her job, her passion and the individuality of each bride and groom. Getting to be a bride myself this past July, working with Jill on a personal level was everything I knew it would be and more. She is incredibly genuine and takes the time to really get to know the bride and groom and what is important to them on their special day. I knew we would be in great hands! Having Jill there on our special day was not only FUN but she kept everyone organized and on schedule. She captured every detail of our wedding and we could not have asked for more beautiful photographs. We had an absolute wonderful experience with Person&Killian and are so grateful for all of Jill’s hard work, patience, expertise and stunning photographs! May 2015 – Danielle Dray- Jill, Alejandro and I want to thank you so much for everything on Sunday. It was such a pleasure to work with you. You are so easygoing yet professional and clearly know how to control the crowds (and you handled our family photos so gracefully). We cannot wait to see our photos and we are so appreciative of your work! January 2015 – Juliette Kenny – Jill and Lauren, Thank you so much for these GORGEOUS photos. Many, many thanks for capturing our big day so beautifully! You managed to catch so many wonderful moments. We could not be more grateful. The photos are magnificent and Noah and I will happily sing your praises! December 2014 – Emily + Marc Sloat – Jill, We just sat with my parents and went through the pictures and we are all so blown away and happy with them. We can’t get enough of our amazing work. I think I will look at the photos every single day for a long long long time. Honestly, Marc and I can’t stop talking about how wonderful you and your team were. We will be recommending you to our friends. I hope we have opportunities to have you with us again soon. November 2014 Anastasia Zervos – Lauren, Omg every single photo is amazing! Thank you! October 2014 – Elise McCarthy -Hi Lauren, Thank you so much! Our honeymoon was incredible and these pictures are amazing! You truly captured the day. I don’t know how we are going to select our favorites!! October 2014 -Gail Bayer – Lauren, Just a quick thank you from a tired mother of the bride….more to come after all house guests depart. But I just wanted to let you know how much we appreciated you and your team….You made it all seem so easy and we know it is not…..I will write you more soon but I wanted to let you know how appreciative we are of you for making the memories of our special day so seamless. October 2014 – Natalie + John Hachem – Jill had photographed my friend’s wedding two years ago. When I saw her photos I knew that I would want her to do my wedding someday. That day arrived and I could not have asked for a better photographer! Jill and her staff were so professional, know how to capture every single beautiful shot, and truly are artists behind the lens. I keep reliving my wedding day through these photos. She was the best! October 2014 – Leandra + Matt – Person + Killian Photography is amazing! We worked with Jill for our wedding and I knew from our first meeting that she would capture our day perfectly. From our engagement photos to our wedding day photos every picture is perfect we could not find one we did not like! The day of our wedding Jill was amazing she captured every moment from getting ready to the reception and each picture is flawless. We cant stop looking at them! Jill was so easy to work with any questions I had she answered and had our pictures back to us so soon after the wedding. We cant wait to work with her and pick our pictures for our wedding album! We can not thank you enough we have wonderful pictures from our wedding that will last us a lifetime. I would highly recommend Person + Killian to any bride to be! September 2014 – Amy + Craig Forleiter – From Amy: Craig and I wanted to thank you for photographing our wedding. We loved having you there and cannot wait to see the final products! In addition to doing beautiful work, your enthusiasm and warmth made the entire process not only easy, but fun! The family and bridal party raved about you. The pictures are beyond amazing. I might get fired from work because all I do is look at them… Can’t wait to order the album, but no idea how we’ll choose the pics! From Craig: Oh my god, they are amazing! I can’t stop looking at them! I got through all of them, and then I realized that was only the HIGHLIGHTS, so I went back and did them ALL! Now it’s 2 hours later and I’ve accomplished NOTHING today! So worth it! We are obsessed with your work, and cannot wait for albums. August 2014 – Samantha + Chris Ramonetti – Jill, We truly had an amazing time and couldn’t have asked for more out of the night! You and your assistant did a wonderful job with managing the photo opportunities as well as remaining discreet throughout the evening. We are extremely excited to see all of the pictures and relive the night. July 2014 – Michelle + Brian – Hi Jill, Thank you so so so much for being a part of our wedding! I always LOVE working with you and it was so special to have you there with us on our wedding day! It was very comforting knowing that we were in such great hands and so fun spending the day with you. Just knowing you were there, totally put us at ease! July 2014 – Kris Montgomery ( Mother of the Bride) – Hi Lauren, I cannot stop looking at the absolutely magnificent photos you took of Sarah and Tyler’s wedding. They are magical and capture the location, the people and the events of the day in the most perfect way. Each photo has a softness that I love. But the drop dead, most amazing and artistic frame is the black and white one of Tyler twirling Sarah on the dance floor! I want to cover an entire wall with that photograph. How did you get it so right?! You are dream to work with. June 2014 – Kristen Selden – Dear Lauren, We are blown away by the beautiful pictures.. thank you so much!!!! May 2014 – Nicole + Patrick Brennan – Hi Jill! We both wanted to send a message to let you know how amazing you are and how much fun we had with you on Saturday!! What a beautiful day we got, we feel so thankful!! We can not wait to see the amazing photos you took. Thank you again for making our day so special and capturing the love!!! April 2014 – Jen + Justin – Jill, Thank you so much for taking our engagement photos. The whole process was so easy thanks to you. Justin and I can’t wait to have you shoot our wedding and feel so lucky to have you as our photographer! Thanks again for the beautiful photos! April 2014 – Sarah + Mark Dhooge – Jill Person was our engagement and wedding photo photographer and we could not have had a better experience with her. I am so beyond thrilled with both of our meetings with her and the photos that she took. I am someone who is very uncomfortable having my picture taken and I don’t consider myself photogenic. Jill had such a great way at putting me and my now husband at ease. I have never been happier and more satisfied looking at pictures of myself. Jill is a true professional, warm, kind, and talented. I would recommend her services to any bride who wants the true emotion and events of her wedding day captured perfectly and beautifully. April 2014 – Jenn + Kevin Neville – Hi Jill, Thank you so much for beautifully capturing our wedding day. We received everything the day we arrived home and they all came out amazing! Our pictures are even better than we had ever hoped for. Thank you for capturing our special day for us! March 2014 – Lauren + Mike Van Breda – Working with Person + Killian for our wedding was a delightful experience. At our initial meeting with Lauren, we were so impressed with her professionalism and warmth. We connected with Lauren right away and loved her enthusiasm for her work. Our outdoor engagement photos were gorgeous because Lauren captured the effects of sunlight so well. My husband and I also liked working with Lauren in advance of the big day.On our wedding day, Lauren and her assistant worked expertly directing a large wedding party and making sure all key family photos were taken. Even more special, they captured many intimate moments between the bridal party.Importantly, Person+ Killian’s style in not intrusive. You and your guests will not even realize the camera is in the room. But, when you can re-live every hour of your wedding day and night through the pictures, you’ll know you picked the right photographer. We absolutely love the photos. Lauren’s expertise is amazing!! It’s so valuable to have a vendor like Person + Killian as part of your wedding planning experience. During the inevitable hectic weeks before a wedding, working with experienced, detail oriented professionals like Person+ Killian keeps anxiety at bay. We hope to work with Person+ Killian again in the future! March 2014 – Amanda + Jesse Avalos – Dear Jill, Thank you so much for capturing our wedding day. We could not be more pleased with the results. We can not wait to order our album and photos for our home. December 2013 – Laura + Matt Rich – Jill and Laurén, I wanted to touch base and thank you again for being a part of our wedding day. Everything went so seamlessly and you were both a large part of that! Everyone is raving about the beautiful job that you guys did and I could not have asked for better. We received the photos in the mail and, again, I am obsessed. Thanks again you guys! Love love love. November 2013 – Tiffany + Matt Renfro – Jill and Laurén, We are emailing you from sunny Hawaii! The pictures are amazing! We can’t believe the wedding was over a week ago already. We had an amazing time- it was everything we could have imagined and you made the picture-taking process so quick and easy! October 2013 – Marc + Sarah- Lauren, Pictures are incredible!!!! Our families are sooo happy!!! We are sooo happy!!! From the bottom of my/our heart I simply can not thank you enough for the priceless gift you gave us. October 2013- Jessica + Jon Jessica McIver- Lauren, I just took a look at the sneak peak pictures. LOVE them! They’re so beautiful. I also wanted to thank you so much for being so incredibly easy to work with on our big day. You guys were so helpful and went above and beyond your photographer duties. I couldn’t think of a better team to capture our wedding! So thank you thank you! October 2013 – Emily + Chris Burke – Jill, I just wanted to take the time to thank you for everything you did to make our wedding day so perfect. You are truly a pro in every sense and your experience and demeanor kept us calm and happy from hair and makeup all the way through our reception (including when we were all locked in the dorm hallway and when we managed to pull the bumper off the bus!) You are such a pleasure to work with. Thanks again for everything you did (seen and unseen) to capture the happiest day of our lives. We are so grateful. September 2013 Giuliana + Marc Rizzo- I just love you Lauren! There’s not a single picture I’m not screaming over!!! September 2013 – Jessica + Michael Keegan – Hi Jill! We just got back from Hawaii this morning. I did get a chance to look at some of the pictures while we were there, and they are AMAZING!!!!!!!!!!!!! I am about to spend several hours going through them again! I seriously can’t believe how well they turned out. You were so wonderful to work with. Everybody that I have shared the link with keeps saying what a great job you did, and how easy you were to be around. I hope you had fun with us that weekend! September 2013 – Elizabeth Saturley Borbon – Jill, Thank you so much! Randolph and I have been looking through the photos, but there are just so many great ones to choose from! I loved the ones you took of my mom and I as well, they are all great! We had such a fantastic time. August 2013 Katelyn Porter – Lauren, Just saw the pictures in your blog and wow!!!! They are so unbelievably amazing!!!!! Cannot thank you enough!!!! July 2013 – Linda + Mark – Jill, these photos are great! I am so happy you were able to take photos of the rooms before people went into them and they look amazing! You were incredible and so easy and fun to work with – and obviously talented. Thank you so much and talk to you soon. July 2013 – Kate + Joe – Hi Jill, Just an FYI, we just fell in love with our engagement photos ALL OVER AGAIN! We want every single one in a frame. June 2013 – Meg + Greg – Hi Jill, Thank you so much for the photos and sharing the blog! We received the CD full of images on Monday and are loving going through every single photo. You remembered every little detail and picked the best photos to tell the story of our day! June 2013 -Elizabeth Crowley – Lauren – We are about to head off on our honeymoon to France, but I did not want to wait to extend to you our sincere thanks and appreciation. You were absolutely beyond wonderful. We couldn’t have been happier. Fondly, Elizabeth, Ben and our families too!! June 2013 – Jennifer + Dustin – Jill, These photos are AMAZING! Thank you again for being so wonderful to work with. We are really so excited about these photos! June 2013 – Erica and Brad – From Erica: Jill, Absolutely gorgeous pictures! You capture the evening perfectly. I just had dinner with my family and the whole night we talked about the amazing pictures :-). You have been such a pleasure to work with. Thank you for everything. From Brad: Thank you so much! The photographs are AMAZING! You were amazing to work with! May 2013 – Allie and Will – Jill was incredible right from the start. I loved that the engagement photo session was included with my package. It gave my fiance and I a chance to work with Jill and become comfortable being professionally photographed. The engagement photos came out awesome. And Jill was so receptive to my input about where to take them. And then came the wedding day. Jill was such a calming presence to have around and very unobtrusive. The resulting photos are absolutely incredible! She captured so much emotion and joy. My family and friends can’t stop raving. Thank you Jill for everything!! May 2013 Lauren Buke- Lauren, I just wanted to make sure I reached out to give you a very sincere and emphatic THANK YOU for everything on Saturday! You are absolutely wonderful and I will be spreading the word to anyone who will listen! Thank you, again, for helping to make my/our wedding one of the most wonderful and memorable days of my life/our lives! May 2013 – Rachel and Sean – Jill, Sean and I cannot thank you enough for everything you have done for us. You were always such a true pleasure to work with and I could not have imagined anyone else photographing our wedding. Still, almost two years later you are so engaged with your clients! Sean and I will always continue to recommend you because we can’t even think of anyone that is as phenomenal as you! Weddings are so intimate and it means so much to hire not only a professional “vendor” but a friend. You really are so amazing!! May 2013 – Mia and Michael – Jill, Thank you so so so much. We LOVE the photos!!!! I have already looked through the cd so many times!! The blog and facebook photos are all great too, thank you for putting that together! I couldn’t be more in love with the photos!!! You were amazing to work with! April 2013 – Maria and Peter – Hi Jill, I just want to say thank you. My pictures are AMAZING and you are extremely good at what you do! I just can not say enough wonderful things about the quality of pics and level of professionalism… Thank you again, Maria , Peter , & CoCo! March 2013 Jill Hamilton – Lauren, thank you again for not only giving us the most gorgeous wedding pics we’ve ever seen but also helping me through all the chaos of the day! Dec 2012 – Emily Kearns and Chris Burke – Jill, Thank you so much for the gorgeous e-photos and your magical retouching – you are incredible! Thanks for making our first experience with Person + Killian so warm and positive. We can’t wait to spend our wedding day with you! Nov 2012 Tricia and Joe -If you’re looking for an experienced, professional photographer….look no further. I hired Person + Killian Photography to capture my wedding, the best decision I could have made! Lauren was professional, fun and captured my day perfectly! My husband who is always a skeptic said, you could tell she knew exactly what she was doing, she impressed him and he instantly took a liking to her! The day of my wedding was very cold and windy; Lauren was patient making sure she got every photo we wanted and more. She captured every single detail from my dress to my shoes! I was so excited to see my pictures and so impressed with how many photos they were, I usually hate photos of myself, but now I have so many to choose from I don’t know where to start!! Looking at the photos was like seeing a video from the day; I got to relive it all over again. There is not one guest I don’t have picture of…..my guests commented on how she never stopped the whole night, she wasn’t intrusive but every time I wanted a special photo she was right there, plus she got some great candid’s, that I will cherish for years to come. Top notch photographers, with great personalities is what you want for your wedding…. I cannot thank Lauren enough for giving me the memories of the best day of my life. October 2012 Amy and Rob Shea- Hi Lauren,We got the disc and started looking through all of the pictures. They came out so well! We absolutely love them. Thank you again! October 2012 Danielle and Dan – Hi Jill! Dan and I would like to thank you for an unbelievable job!! We had so much fun taking photos (even in the rain), and you both made it very easy to relax and enjoy our very special day. Well, what more can we say?! The pictures say it all – you did an outstanding job capturing our day!! Thank you, thank you, thank you!! Our families and wedding party thought you were fantastic too, and we have the most amazing pictures to last a lifetime! Thank you again for your amazing photography!! September 2012 Tonya – Hi Jill, I wanted to take a moment and thank you for all your have done to make our wedding day special. The day was simply amazing and I could not have been happier with how well we worked together. It was so easy and at times I felt you weren’t even there! You made my family very happy. We got the disks in the mail and the pictures are absolutely STUNNING!!! You exceeded our expectations and we still look through all of our photos a lot! You really captured my day perfectly and viewing them was like reliving the day all over again. I can’t thank you enough Jill. September 2012 Blair and Jon Staunton- Person + Killian photographed both my wedding and rehearsal dinner, and the pictures are amazing!!!! I received the first “teaser” while on my honeymoon, and literally started jumping up and down with excitement. Once the wedding is over, the photos are the only real memories/proof that you have that it really happened, and Lauren Killian captured the entire weekend perfectly. Aside from the pictures, the experience of working with Lauren was also amazing. She was so professional and made me feel comfortable throughout the weekend, which to me was priceless (she even helped take my veil out!) While I am sure there are plenty of great photographers in the area, working with Person + Killian is a guarantee for fabulous pictures and a calming presence on a day where those are the two things you want more than anything! August 2012 Stephanie and JP Parker- We were lucky enough to have both Lauren and Jill photograph our wedding!! We cannot explain how wonderful and grateful we are to have them work with us. Not only are the pictures INCREDIBLE ( I mean I never look good in pictures and they made me look killer in everyone!) but they were in our mailbox the day we returned from our honeymoon! Unbelievable! To top it all off, they are very kind, fun, generous and warm women who became part of our special day. They always seemed to be at the right place at the right time, they listened to our needs and made us feel so comfortable. We knew we were going to be happy with them but I cannot reccommend them enough!! They took wedding pictures that are just so us and we are SO happy with them. July 2012 – Alyx and Drew – Jill, our wedding day passed too quickly, but we’ll be forever grateful for the beautiful photos that let us relive the magic! Thank you for always being so patient & helpful. You captured our big day perfectly! We are your #1 fans! June 2012 Cathy Seo -Lauren was amazing! She is so sweet and made us very comfortable from the start. Everything was so stress-free. Our engagement session was so fun and the pictures came out beautifully. During the wedding, Lauren was so laid back but efficiently got us all together for photos. We already have the images from our wedding, and they are beautiful! I would highly recommend Lauren. She was so professional and she is just an amazing and nice person. I couldn’t be happier with the photos! Thanks, Lauren! June 2012 Cynthia (Mother of the Bride) – When we began planning our daughter’s wedding 18 months ago, the first vendor that we scheduled, after the venue, was Person + Killian. After viewing sample books at several venues, it quickly became clear to us that this was the premier Boston photographer: the quality of photographs and their ability to capture the personalities was outstanding. In working with Jill Person, we were not disappointed. The engagement session included in our package was well worth using, because it provided an opportunity for the bridal couple and Jill to become acquainted and comfortable with each other, and of course yielded some outstanding photos! Jill was thorough in her preparation for the wedding, which translated into her being almost imperceptible during the event itself. She was familiar with both the ceremony and reception venues, and well-prepared to deal, for example, with the fact that our church imposed restrictions on access during the ceremony–all of which meant that she obtained her shots in a manner that did not interfere with the ceremony. She captured the joyous mood of the day through formal and informal photos, and throughout the event. I am amazed at the quality of formal shots taken in a fairly short period of time, for example, prior to the ceremony. When we needed advice, she provided it. When we needed accommodation for family photos of people who were not able to arrive pre-ceremony, she did that, too. Somehow, Jill and her assistant managed to capture every shot we could have hoped for, and more. The difficulty we will have will be in choosing! What a happy dilemma, because as I read many times, what you have after the wedding (besides a happy bridal couple and, in our case, a terrific son-in-law!) are the photographs and the memories. I am very happy that we invested our resources in such quality photography, which was well worth the expense. May 2012 Rachael – Jill was absolutely fantastic to work with. She captured all of the special moments during our wedding day. She worked well with our videographer, even though she hadn’t worked with him previously. Our wedding day was of course overwhelming and she did a great job of giving us space to just breathe and relax when she saw we were getting overwhelmed. She sent us our images in a remarkably short time given that the end of May was the start of their busy season. We haven’t yet put together our album, but I’m sure the outstanding quality of her work will extend to that as well. Jill is a true professional and we would recommend her to anyone that wants to work with the best. May 2012- Stephanie and Richie Ferarri- Working with Person & Killian was one of the best decisions we made for our wedding. The very first day I met Lauren, I knew that I wanted to work with her. Not only was she perfectly professional, but she was also extremely cool and fun to be around. She also had great recommendations for other wedding vendors (like Boston Wedding Films) which ended up being great advice. It’s important for a photographer to “get you” when you’re planning your wedding photos. Person & Killian will make your day that much more special and will in fact take away from any stress you may feel the day of and leading up to the wedding. Lauren, thank you SO much for such beautiful photos and for being so wonderful to work with. It was our pleasure getting to know you and we were glad that you could be there to share our special day! And for all you brides out there looking for a photographer, I’d say you just found one. Good luck! May 2012 Michelle and Eric Dinenberg – I was lucky enough to have both Lauren and Jill at my wedding and they did an amazing job! I cannot say enough about our experience with them and everyone is obsessed with our pictures. The day of the wedding, Jill and Lauren kept me at ease and both were so discreet we barely knew they were there. They were able to capture every important moment as well as plenty of amazing candids! Both are extremely talented and a lot of fun to work with! Lauren sent us our CDs of our pictures the week after our wedding. Needless to say, the photographs came out wonderful and exceeded our expectations. I cannot wait to get my wedding album and I would most definitely recommend Person and Killian to every bride I know! April 2012- Bettina and John Janco- Lauren, The photos are fabulous… thank you so much! You are so incredibly talented and thank you again for making the shoot so fun, relaxing, and enjoyable. Thank you x100! March 2012 – Melissa and John Fitzgerald- If you want the BEST of the BEST for your photographer, you must use Person + Killian! My husband and I were a bit anxious as we both “don’t take great pictures.” But when we saw the proofs when we were on our honeymoon (YES, they are that quick!) we couldn’t believe how gorgeous they came out! I literally said, “I don’t believe that is me — I didn’t think I could look so good!” While Lauren and Jill work quickly, the photographs looked like we posed for hours — they were truly perfection! To sum up our experience — almost everyone has said, your pictures look like they should be in a bridal magazine…and add that they were so much fun to work with! We will be forever grateful to P+K for the memories they captured! Jan 2012 – Emilia Newell- Thank you so much for making our day so amazing. Looking through these photos again made me smile and remember that we had a perfect day. Patrick and I are both so happy and thankful that you captured our happiness and love. Jan 2012 – Janet (Mother of the bride)- Dear Jill, Thank you for always accommodating Elizabeth and me in such a wonderful way. I adore the wedding album and admire it continually!! I feel so fortunate to have my own!! Words cannot adequately express how exquisite your work is… Thank you for making our relationship so easy and pleasurable. December 2011 – Kathie (Mother of the Bride) – Lauren + Jill — Much gratefulness! Probably not a word but if you could see me, you would see a happy grateful dancing person. Thank you for the beautiful pictures of my children. December 2011 – Lauren- If you could give a 10 out of 5 stars I would for Jill and Lauren. They are amazingly talented, very fun to work with and lovely. Our family had a wonderful day with them and I could have never imagined how beautiful the pictures are. They really made all of us look spectacular! November 2011 Christina and Ben Bruneau- I highly recommend Person & Killian Photography! They are not only extremely professional but incredibly talented. I was so excited to see our wedding photos and how beautifully they captured our wedding day. We were married last November, I still enjoy looking through all their photos on facebook. I feel we chose the absolute best for our special day! November 2011 – Bethany and Scott – Lauren, we can not thank you enough for your generosity and thoughtfulness. You have such a big heart and we could not be more thankful! The photos are absolutely amazing and we have received so many comments. The way you just blend in with the crowd is perfect. Love always, Bethany and Scott. November 2011 – Jeff and Joann (Parents of the Bride) – I just can’t express enough positive thoughts to Lauren Killian for the beautiful job she did for my daughter’s wedding. From the moment Lauren stepped inside our home we all felt so comfortable with her. She captured so many photos that we didn’t even realize she was taking until we saw them after. Every moment was captured. Thank you from the bottom of our hearts for everything! 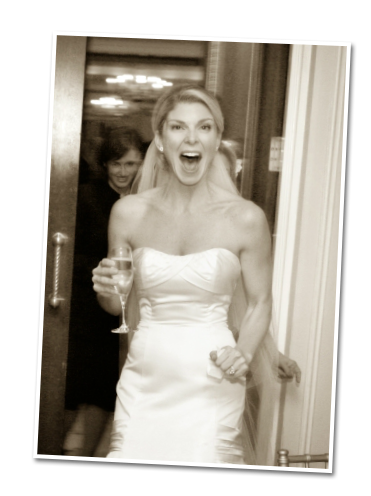 Oct 2011 – Christie Stern – I feel truly lucky to have met Lauren Killian and to have had the pleasure of having her photograph my wedding at the Four Seasons Hotel Boston. Lauren surpassed even my highest expectations. She was invisible, quick, professional, adorable, and captured the most intimate and spectacular moments of my wedding that I would not have otherwise remembered. I recommend Person + Killian highly and feel so fortunate to have such exquisite memories from such a magical day. September 2011 – Katie Cole – I have had the pleasure of knowing Lauren and Jill for years, but my wedding was the first time I had the honor of working with them. The photos Lauren took of my wedding were absolutely incredible. She captured every moment of the evening! The photos were unique, creative, and extremely professional. I highly recommend Person + Killian for any event. Not only are they two of the kindest women I know, their work is absolutely amazing! Nov 2011 – Lindsey Scanlon- Thank you so much P+K. You did a beautiful job capturing our wedding day. We absolutely LOVE our pictures!! Sept 2011 – Jamie Crothers- Lauren, Thank you for the amazing pictures from our wedding. You are so amazing and we are so thankful you were a part of our event!! xoxxo! July 2011 – Andrea and Adam- My husband and I cannot recommend Person + Killian highly enough! Jill coordinated formal shots efficiently so we could focus our attention on guests and enjoying the day. When we showed people our engagement shots, they commented that they looked as if they came from a magazine. Person + Killian are extremely talented, responsive and professional, and best of all, fun and easy-going…a perfect combination for such an important moment in your life. April 2011 – Rhonda (Mother of the Bride)- Jill- Just wanted to let you know Stan and I LOVED our album!!! We got it on Saturday when we went to Randi and Roger’s house and we got to see their album as well. We really love the layout and mix of color and black and white photos in both albums! You made the whole precess fun and easy! We are thrilled that Randi and Roger chose P+K. April 2011 – Jessica Tye- Jill , Andrew and I recently got back from our honeymoon and were greeted with the wedding pictures! They are absolutely amazing… We love them so much. Thank you for doing such a wonderful job at the wedding. You really helped to make out day a memorable one. March 2011 – Ryan Hoke: Looking at the pictures not only tells the story of the day start to finish but puts a smile on my face every time I go to look at them. I couldn’t have asked for better photographers to work with, you went above and beyond what I had envisioned! Feb 2011 – Jessie Watts Poole- Lauren, I got our album!!! I AM IN LOVE!!!! You did SUCH a wonderful job. It was beautiful and such a testament to our day. I am so glad we will have this forever. I love it! THANK YOU THANK YOU! August 2010 – Laura and Newt- Lauren, Newt and I cannot thank you enough for capturing our wedding so perfectly! You were so much fun to work with and helped make our day even more special!! And THANK YOU so much for posting our wedding on your blog AND submitting it to Style Me Pretty. It was a dream come true, especially because I spent HOURS looking at Style Me Pretty for inspiration! We spent so much time planning that wedding, and Newt and I worked so hard on the details, it means the world to know other people appreciated it. Seeing the blogs is helping me battle some of the post-wedding blues. 🙂 You are incredibly talented, and we are so happy to have found you. We got the photos in the mail yesterday, and can’t wait to sit down and look at them all! August 2010 – Julie and Phil- Jill Person photographed our wedding two weeks ago and was phenomenal! She is incredibly talented and professional, while her personality made her a pleasure to work with. From our initial meeting to our engagement session to the wedding day, we were so impressed with her. She wasn’t a distraction on the wedding day at all, and managed to make everyone feel comfortable. Thanks so much, Jill!!! August 2010 – Julie and Brian- Dear Lauren, I absolutely love the pictures on your blog! The sneak Peek brought tears to my eyes and I relived the wonderful feelings of that day. We all enjoyed working with you and I cannot wait to receive the disk. Julie and Brian expressed how comfortable they were with you and how your coverage of the wedding was seamless and did not interfere with the natural flow of events and their interactions with family and friends. Julies Mom – So excited for Julie and Brian to come back from Aruba on Saturday so we can look at the pictures together. We knew we would love having you chronicle Julie and Brian’s wedding but even the sneak peek is better than we could have imagined.Thanks so much for being part of and helping preserve the memory of such an important family event. July 2010 – Annie and Jonathan- Lauren these are just so amazing! I could not be happier with the amazing work you did at our wedding. You truly captured every moment and then some. This really made it easier to come back home from the honeymoon. I am sad that it is over but so happy to have these wonderful memories. Thank you so much for everything!!! August 2010 – Felicia and Joe Pagliuca- Thank you!! These photos are amazing and we are so glad you were part of our wonderful day. We just got back from our honeymoon and have been looking at your pictures–they are so beautiful! We could not be happier–thank you so much! July 2010 – Sally and Carlos- We loved the pictures Lauren took. She is not only an amazing photographer, but she was a lot of fun to work with. Worth every penny! June 2010 – Mia and Torin Francis- Jill was amazing to work with. Wasn’t in the way at all but made sure to ask which details and people I wanted photographed and let me know she was there to capture whatever I wanted. Even though I barely told her anything she somehow captured every detail and tons of special and hilarious moments. There were times when I witnessed something funny and wished it was being photographed and then turned around and there they were snapping away, it was great. The pictures came out beautifully, stunning actually, and everyone agrees. I haven’t gotten my album yet but I can’t wait! May 2010 – Brooke and Matt- Lauren was fantastic! The pictures she and her assistant took are absolutely stunning and really capture the feelings of the day. They were so friendly and good at putting everyone at ease. I would choose Person & Killian every time! July 10 – 2009 Laurie and Dave- Hi Lauren, The album looks gorgeous! I love how you put it all together in such a beautiful and artistic way. We’ve already looked through it several times and are having such a fun time remembering and reliving all of the details of the wedding. You have truly captured the story of “our” day and we will treasure the album forever. Meghan and Chris Summer 2009- (From Chris) I wanted extend our deepest thanks and gratitude for doing such an INCREDIBLE job with the wedding photos!!! Just the few that are posted on the blog are absolutely above and beyond anything we ever imagined. Meghan and I are so excited to see the rest. We are absolutely obsessed with the work you’ve done and we are both so incredibly happy we picked you to work with (all the credit goes to Meghan by the way). You two are awesome, and our day would not have been the same without you there. We lucked out with the rain but the cloudy day made the pictures look even better than we ever thought possible. You would not believe the comments we’ve received from family and friends that have checked out the blog. It’s just incredible. We were also very surprised to even see some of the photos posted so quickly. So thank you, thank you, thank you!!!! (From Meghan) Oh. My. God. I don’t even know what to say. These pictures are the most beautiful things I have EVER seen!!! I hardly even recognize those people – I can’t believe they’re US!!! Lauren, you and Jill were fantastic. I can’t express how much we appreciate you tolerating the wind and cold to get these incredible shots, I know it wasn’t easy. We sent the link to tons of friends and family and people are just dying at how amazing they are. Thank you again a million times over, you have already exceeded my expectations in every possible way. More from Mary and Barrett!- Top quality photographer who understands the dynamics of the day, and works with the couple to get the great shots while blending into the background. Calm, cool, and collected at all times, easy-going, and extremely flexible. Helped keep things on track, keep the couple relaxed, accepted changes in plans without hesitation and best of all, allowed the couple to focus on other things – never once did we have to worry about the quality of the pictures or final outcome. Best photographer I have worked with hands down. Would recommend to anyone! Worth every penny! Sept 2009 – Maria and Brian – Jill and Lauren are absolutely amazing!!!! They were so wonderful to work with. They provide so much guidance and support leading up to the wedding and most importantly the day of. Our family and friends have raved about the level of service and professionalism the day of the wedding and are blown away by the pictures that they have seen. Some of our guests have even said that they will definitely be using Person and Killian when they get married since they were so impressed. We couldn’t be happier with the pictures from our wedding day. We loved every one of them! They captured every special moment and the pictures really do tell the story of our day. One we will always treasure! Thank you Jill and Lauren!!! May 2009 – Neda and Stephen – After booking our venue we asked our wedding coordinator for a photographer recommendation. Person + Killian was their first choice and it quickly became ours. We didn’t even shop around after seeing their past work and meeting with Lauren. The work was magnificent and it was an absolute pleasure working with them from the beginning when taking our engagement photos to the end when we finalized our stunning wedding album! We will cherish the photos for the rest of our lives. HIGHLY RECOMMEND! Dec 2009 – Jen and Steven- On a recommendation from a friend, I called to set up an appointment with P&K and ended up hiring Lauren to be our wedding photographer. I loved her from the minute I met her. She totally understood the vibe and feel we wanted to see in our wedding photos (celebratory, intimate, fun and lots of personality!). We recently got our album and my husband and I absolutely love the photographs. After seeing all of the photos, I’d say their specialty is definitely candids. They caught some moments that we never even saw and we were standing right in front of them! They both have a great eye for the so-called “Kodak moment”. I would hire Lauren and/or Jill again in a heartbeat. The cost was a little more than others I looked at. But in the end, they were well worth every penny! Nov 14th – 2009 Kate and Matt- We couldn’t recommend Person + Killian more highly! We had a few unforeseen obstacles on our wedding day (torrential rain and an uncooperative limo driver, to name a few!) and Lauren Killian couldn’t have been more accommodating and supportive. Not only was she a pleasure to work with, but the final product was more than we ever could have asked for! Worth every penny. Nov 2009 – Elissa and Jeff- Person + Killian embodied all of the provided categories (Quality of Service, Responsiveness, Professionalism, Value for Cost, and Flexibility), and more. Jill was so personable and friendly, and we were instantly drawn to her calm and collected demeanor. Our engagement photo shoot was a great time – we were even able to bring our dog on the shoot with us! During the wedding preparation, first look at my now husband after getting ready, Ketubah signing, ceremony, cocktail reception, and wedding reception (speeches, first dance, cutting the cake, etc.) she took pictures seamlessly – we had no idea she was even there taking pictures. The photos came out beautifully and they were only a taste of what was yet to come. We just received the wedding album and were floored with how amazing it came out – the album itself is impressive, and the photos and layout are stunning. I have looked through it more times than I can count since receiving it! We appreciated so much her working with all the photos (hundreds of them) to make the album a story, with all of the different components of the wedding, as she captured every moment. P+K may even add a few pleasant (complimentary) surprises along the way 🙂 I can’t wait to show a cousin we referred to Person + Killian for her wedding photos what she has to look forward to. It was so worth every moment and penny! We can’t thank Jill and Person + Killian enough, they really are the best of the best! October 2009 – Jessie and Mike- I can’t express enough how much I love Person + Killian. If they are on your list of photographers to pick from I wouldn’t search any further– you will be making the right choice! Here are my thoughts on everything from pre-wedding, the day of, and after… Deciding on a Photographer- When I met with Lauren I just knew we clicked. I really enjoyed her perspective and I thought her take on photography was refreshing. She took beautiful shots and it wasn’t “posed” or too cliché. She and also Jill really capture people in their element. I loved that about Person + Killian – they captured raw moments that struck a chord with me. After the meeting I knew we would go with them. On a side note: What I loved about them is you have a copy of your high res. pictures after the wedding. Not many photographers offer that. It was great to be able to have all your pictures at your fingertips! Before the Wedding- What sets Person + Killian apart is their beautiful pictures, their great attitudes, calm demeanor the day of and most importantly, their connection with their clients. Lauren was so easy to communicate with. She was quick with her responses and really shared in my excitement about our wedding – which any bride knows is a nice feeling when someone is excited as you are! Before the wedding they did a great job figuring out what I wanted on my day. They sent out a form to review everything I wanted and how I imagined our day would be. We even spoke by phone the week before the wedding to sort out the details. I felt so confident in their work I knew I could let Lauren take the lead the day of the wedding.Day Of- When Lauren arrived it was pure chaos having 9 bridesmaids and everyone getting ready. She just fit in perfectly and went about getting ready, taking shots — she just blended in! From the moment she arrived all the bridal party felt at ease with her. We all were able to be ourselves and that was reflected in our pictures. Having a very large bridal party (9 BMs, 8 GMs) Lauren was able to take control of all of us to get great shots. She was never bossy — she really gave great tips and kept everyone engaged and laughing. She had a calmness about her that made taking the pictures a fun time instead of a chore to be over quickly. We all loved how she could laugh with us and joke back and forth. She helped us relax and made our experience memorable. Lauren was with us from start to finish and the entire day she was upbeat and fun to be around. She always had a smile on her face and was so approachable. Many guests commented on how wonderful she was. We couldn’t have been happier. After the wedding – Their turnaround time is AMAZING! When I was back from our honeymoon we had a CD in our mail! We fell in love with all of our pictures. Lauren was able to capture our day and was able to capture who we are as a couple. I loved Lauren’s take and she provided stunning images that we will cherish forever. She captures such great moments between my husband and I and our entire family. I loved all the pictures and she has made it VERY hard to pick out what ones we like best – we loved everything! I also have to note that they literally got around to EVERYONE at the wedding! And that’s all our families can keep talking about – there is a picture of practically everyone from the wedding. They have been amazing communicating back and forth. I am so excited to see their take on our wedding album and see them put it all together. We get to pick our pictures but then they do the rest! And from the looks of other albums it will be stunning!! I have seen first hand what stunning work they do and can’t wait for our album to be complete. Bottom Line: Lauren and Jill are warm, welcoming, professional and best of all – amazing photographers with a true gift. I wouldn’t have done anything different with them. You are in amazing, capable hands if you are lucky enough to work with them. I can’t even say enough good things about them. We will be using them for family portraits down the line! October 2009 – Dominique and Ryan- Jill Person totally saved my life! My husband and I had a very bad experience with a photographer that we ended up firing 3 weeks before the wedding. Understandably we were stressed and worried that a) we wouldn’t find another photographer in time or b) we would find a photographer but might not be happy with them either. Well, Jill Person came along, being recommended to us by our on-site coordinator at the Liberty Hotel. Jill responded to my email right away and we made plans to talk later in the day. We had a wonderful conversation and I immediately felt at ease. We booked an in-person appointment and my husband and I met with her a day or two later. Our appointment went so well we hired her on the spot! We could not have been happier with Jill. She was a true professional and a true pleasure to work with. Her photos are stunningly beautiful and I am so happy my husband and I were able to snag her. 🙂 Hire Person + Killian Photography and even if they are slightly pricey, you will get piece of mind and THAT is worth something! May 2009 – Kristen and Mark- We worked with Jill Person for our wedding and couldn’t have been happier with the experience. She made us feel comfortable in front of the camera – not an easy feat! During the wedding, I completely forgot she was in the room, because she was so inconspicuous. And during the reception, they used such large lenses that there were times I would look around thinking “she’s missing it” because she wasn’t right in my face with a camera, but there she was 20 feet away, capturing the whole night! Wonderful! October 2008 – Doug and Kristin- Working with Lauren and John, our photographers, was an absolute pleasure! We enjoyed every part of working with them! They were so professional and fun, all at the same time! Lauren had told us when we first met with her that they prided themselves on being almost invisible the day of the wedding and she was so right! They were there for every moment but they were never in the way! Our photographs are amazing and we are so happy we chose them for our special day! July 2008 – Leah and Paul- I had the pleasure of having Jill and Lauren (Person + Killian) photographing my wedding. I was not only impressed by the beauty and artistry of their work, but how friendly, professional, and responsive they were during the entire process. They put me at ease instantly! The variety in their photographs is amazing… one picture is more beautiful than the next. On the day of my wedding Jill and Lauren were so helpful and encouraging. It was a wonderful experience working with them… I would highly recommend Person + Killian Photography to anyone! July 2008 – Natalie- Person & Killian Photography did a fabulous job with our wedding photos! They captured the beauty of the day & we will have those memories to last us for a lifetime. Jill & Lauren were very professional & an absolute pleasure to work with. If you can snag them for your wedding date, you are lucky! October 2007 – Elizabeth and Ryan- From our first meeting right down to when we received our album Person + Killian was professional and attentive. We could not have hoped for more…our photos are amazing! Everything they do is of such high quality – from the engagement photos, wedding and parent albums and even the thank you notes they offer. I very highly recommend them. November 2006 – Stephanie and Jason- Lauren & Jill were a pleasure to work with through the entire wedding process. They were unobtrusive and did an incredible job. Our photo CD was waiting for us when we got home from our honeymoon and we watched it that night. I loved the pictures and they even air brushed a few things for us when they did the album. I highly recommend them as photographers.